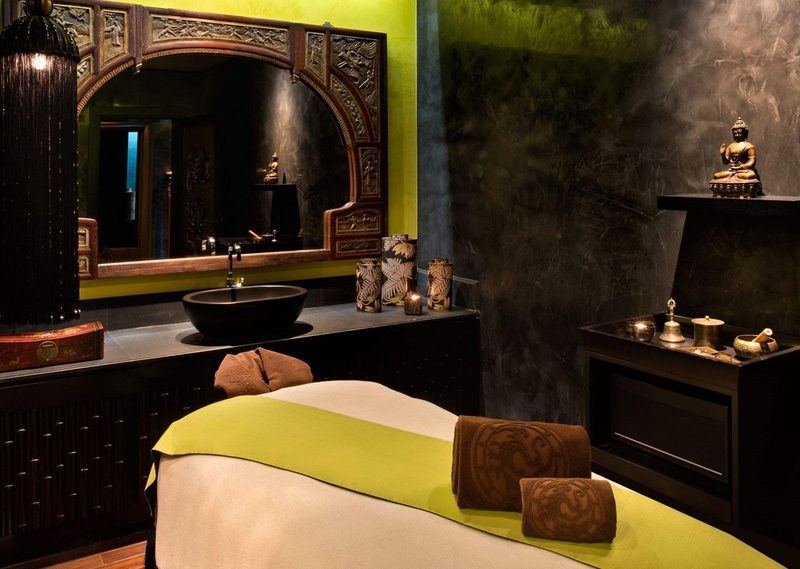 The B/Attitude Spa welcomes you to an adventure through the senses, with all natural, oriental treatments that restore harmony between body and mind. Let us take you on a journey of wellbeing and spiritual awakening, A blend of ancient therapies form the East coupled with an intimate, contemporary setting lead you on a unique pathway toward luxury and solitude. Breaking the traditional spa experience with a divine combination of oriental opulence, Chakra infused décor, unique atmosphere and a plethora of signature treatments, combined with our unparalleled service, this restful sanctuary will help reverse the signs of ageing and melt away the ills of stress. Inspired By B/Attitude Unique Philosophy; These Treatments Will Help Restore Harmony, Building Inner Strength, Clarity And Connectedness - Qualities That Are Rare To Experience In The Increasing Chaos Of Modern Living. Discover Our Exclusive Signature Fusion Massage & Allow Our Expert Therapists To Draw On Their Vast Techniques To Create A Tailor-Made Massage According To Your Needs. Passionately In The Healing Powers Of Natural Plant Extracts, Essential Oils Are Highly Effective In Enhancing The State Of Physical, Mental And Emotional Well-Being. Releases Tension, Deeply Relaxed And Re-Charged. Stimulate The Nervous System, Relieve Muscular Tension And Encourage A Healthy Circulation. Stresses And Strains Are Dissolved Away. Ancient Massage Combines Gentle Rocking, Deep Stretching Movements, Firm Acupressure, Use Of Palms, Elbows And Thumbs. Improve Flexibility, Stimulate Blood Circulation. A Dry Massage With Clothing. A Combination Of Gentle Stretches And Acupressure That Stimulates The Flow Of Blood And Energy Around The Body And Enhances Relaxation And Wellness. A Relaxing Back, Neck And Shoulder Massage To Ease Muscle Tension, Combined With A Relaxing Foot Massage To Decrease Tension And Alleviate Muscle Aches. Elemis Lifestyle Concept Have Been Created To Respect The Skin And Body'S Complex Physiology. Unparalleled Experience, Sequences And Power-Boosting, Visible Results Are Achieved. Nutritional Boost, Rich In Superfoods And Essential Minerals, Designed To Pack Stressed, Leave Your Skin Plumper, Radiant And Energising. Target Unwanted Areas Of Pigmentation. Vitamin C Acts As A Potent Brightener, Inhibiting Future Pigmentation. Leave Your Skin Illuminated. Age-Defying Benefits Of Marine Charged Padina Pavonica And Red Coral. Tackle Fine Lines And Wrinkles. Leave Your Skin Nourished And Younger. For Dehydrated Skin And Tired Eyes. It Maximises Cell Regeneration. Prevent Fine Lines And Wrinkles, Boost Circulation, Multi-Dynamic Facial. Select Of Aromatic Oil According To Your Concerns, Muscle Pain, Stress Relief, Relaxation Or Balance. Massage Works Deeper Into The Tension. Balinese Stone Bathed In The Frangipani Monoi Body Oil Are Worked Deep Into The Muscles. Work On Areas Of Tension. Blend Of Massage And Detoxification Clay For Targeted Toning And Tightening On Hips, Thighs, Abdomen And Back Of Arms. Reduce The Appearance Of Cellulite. Lime And Ginger Or Frangipani: Gently Slough Away Dead Skin Cells, Regeneration Of New Cells And Deeply Nourishing. Created For Mature And Devitalised Skin. Acting Deeply In Skin'S Regeneration And Diminishing The Appearance Of Lines And Wrinkles. This Caviar Treatment Offers A Powerful High-Tech Formula Thanks To The Golden Microspheres Of Caviar Extract And Vitamin E. Instantly Lifted, Re-Plumped And Firmed, The Skin Regains Unique Transparency And Radiance. Thanks To Its Innovative Formula With Plant Stem-Cells; Wrinkles And Fine Lines Are Faded And The Skin Has An Instant Youthful Radiance. Choose From: Detox, Firming, Contouring Or Invigorating Body Wrap. Eliminate Toxins, Break Down Fat And Ease Muscle Tension, Fatigue And Arthritis. 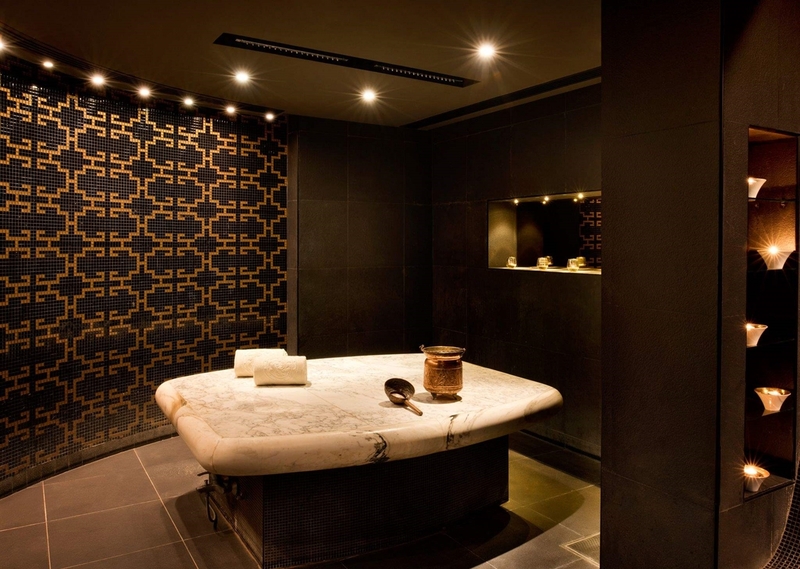 Indulge in a truly Middle Eastern massage experience. Unique Oriental Body Massage with traditional Argan/Figs & Dates oil and you will be uncaptured into the world of United Arab Emirates, this luxurious massage will restore moisture in the skin. A wonderful musky aroma, true to the Gulf Region fills your senses as you melt into total relaxation. 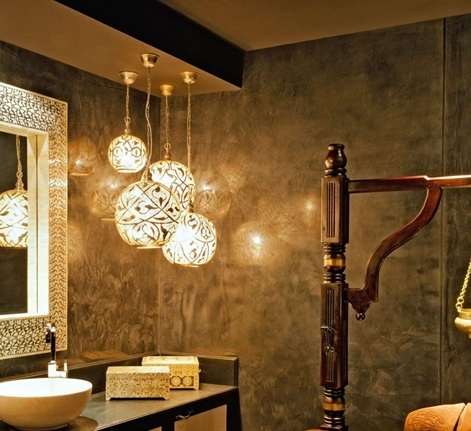 This Middle Eastern Experience Is Combined With A Full Body Exfoliation Followed By A Traditional Ghassoul Mask. To Finish This Luxurious Treatment, A Warm Layer Of Perfumed Oil Of Your Choice Will Be Drizzled Over The Whole Body Leaving Your Skin Breathtakingly Soft And Silky. Cleanse And Peel Is Performed To Prepare The Skin For This Splendid Mask, Natural Honey And Royal Jelly To Nourish And Delight, Skin Is Left Wonderfully Scented, Soft And Glossy. Invitation To Fulfilment And Serenity. Turkish Bath Is Unique Ritual: Cleansing Ritual And Scrub With Black Soap Followed By A Massage In A Cloud Of Foam. Spa Etiquette Due To The Popularity Of Our Spa We Request You To Book Your Treatment 24 Hours In Advance. B/Attitude Spa Gift Voucher* Buy Gift Vouchers At B/Attitude Spa And Be Welcomed To An Adventure Through The Senses, With All Natural, Oriental Treatments That Restore Harmony Between Mind, Body And Soul.